Lightweight and recycled aluminum padlocks support your green initiatives. 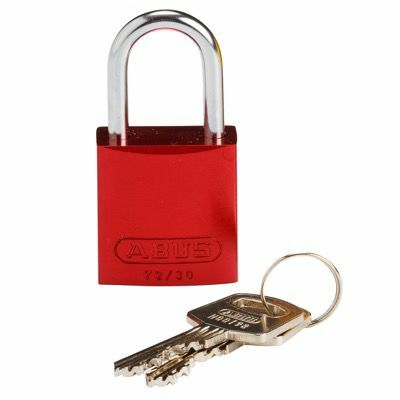 Compact lockout padlocks are made of brightly colored anodized aluminum for greater visibility. Different colors allow for color-coding and instant identification. Featuring reserved paracentric keyway, preventing unauthorized duplicating of keys by local key shops. Spark and corrosive resistant non conductive padlocks are best for electrical and machine lockouts.